A CLASSIC RESTORED ! ! ! 2017 Tohatsu 25 hp with 0 hours on 1988 hull with fresh bottom paint.. NEW Mahogany wood interior with two bench seats and console varnished on both sides with 5 coats Z-spar Captains Varnish. NEW Stering system, gas tank and battery. 2002 Boston Whaler TRAILER INCLUDED. All registrations up to date. Like NEW Condition. Garage Kept. A Must See Beauty ! ! ! 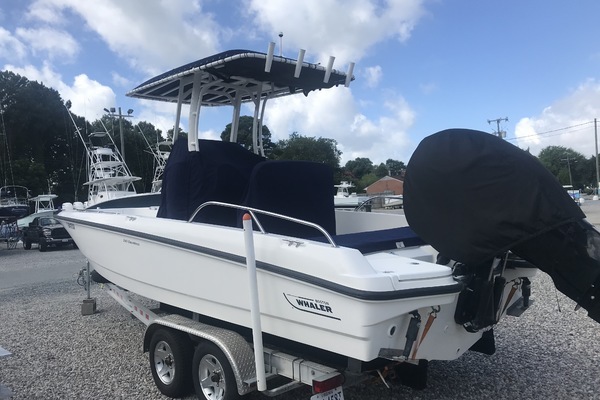 PACUYS - AYS would love to guide you through a personal showing of this 11' Boston Whaler 110 Tender 1988. This yacht for sale is located in Pompano Beach, Florida and priced at $7,495. For a showing please contact us by filling out the form on this page and we will get back to you shortly!